This Module is intended to be studied along with the Introduction to Cell Biology Module. Additional video animations on these topics can be accessed on the main menu page. Use the reader tool in the lower right corner to expand guidebook and presentations to full screen view. 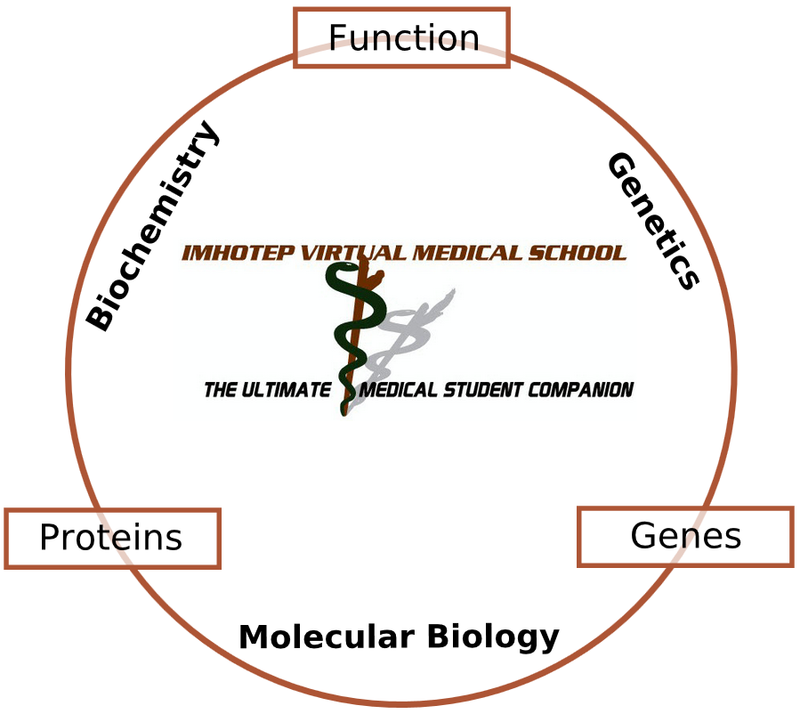 IVMS Introduction to Medical Biochemistry Guidebook by Marc Imhotep Cray, M.D. Biochemistry Fundamentals : An Overview of Enzymes, Energy and Bioenergetics by Marc Imhotep Cray, M.D. 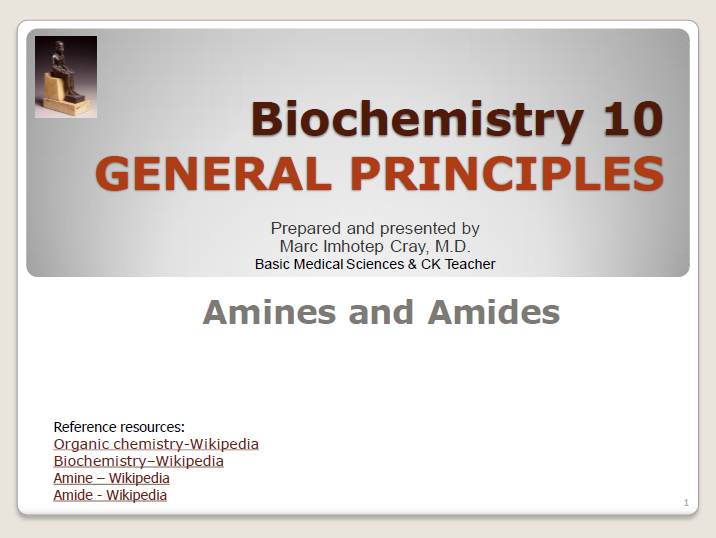 IVMS Intro to Biochemistry Lecture 10 -Amines and Amides by Marc Imhotep Cray, M.D. 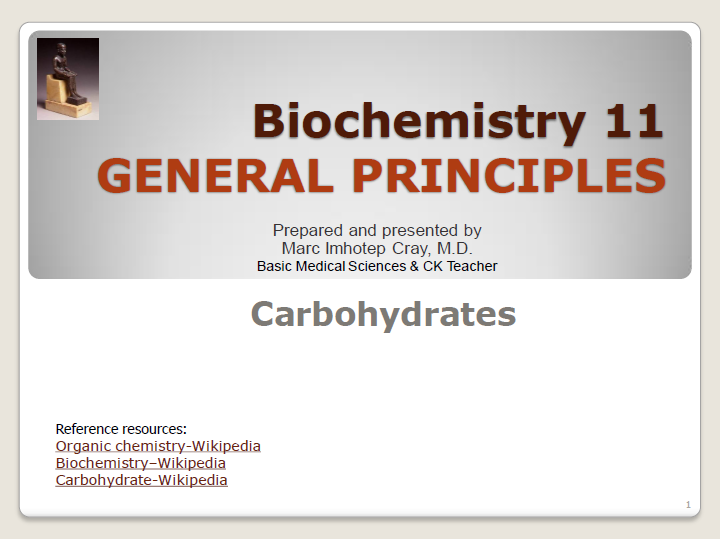 IVMS Intro to Biochemistry Lecture 11 -Carbohydrates by Marc Imhotep Cray, M.D. IVMS Intro to Biochemistry Lecture 12 -Lipids by Marc Imhotep Cray, M.D. 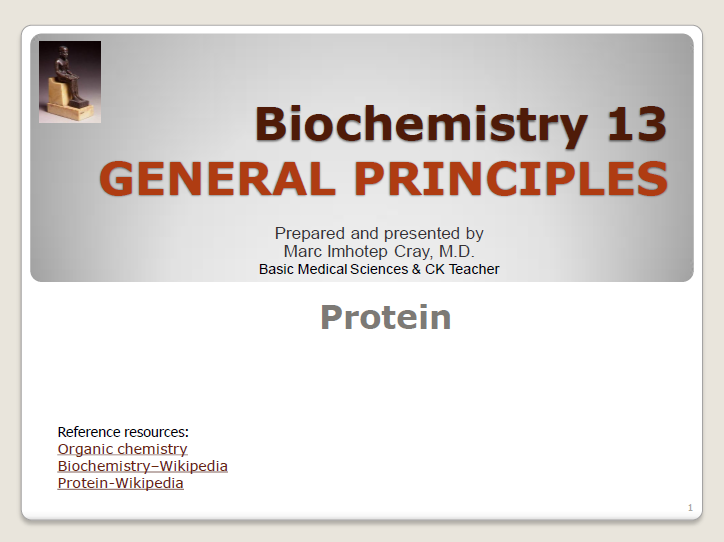 IVMS Intro to Biochemistry Lecture 13 -Protein by Marc Imhotep Cray, M.D. 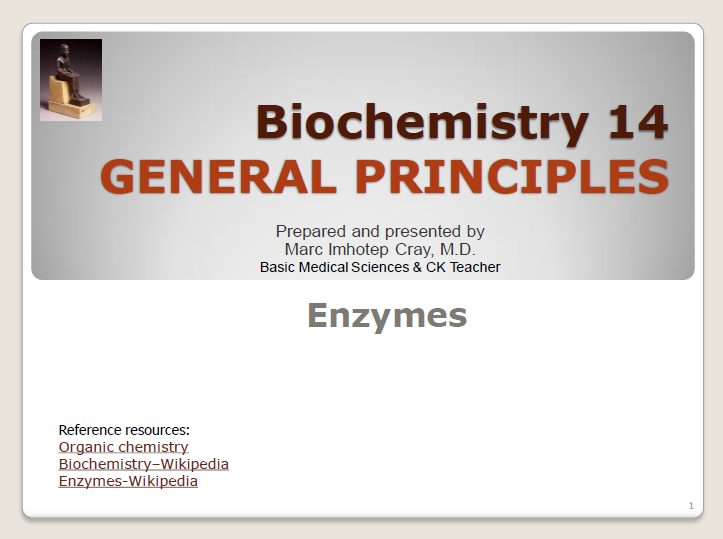 IVMS Intro to Biochemistry Lecture 14 -Enzymes by Marc Imhotep Cray, M.D. 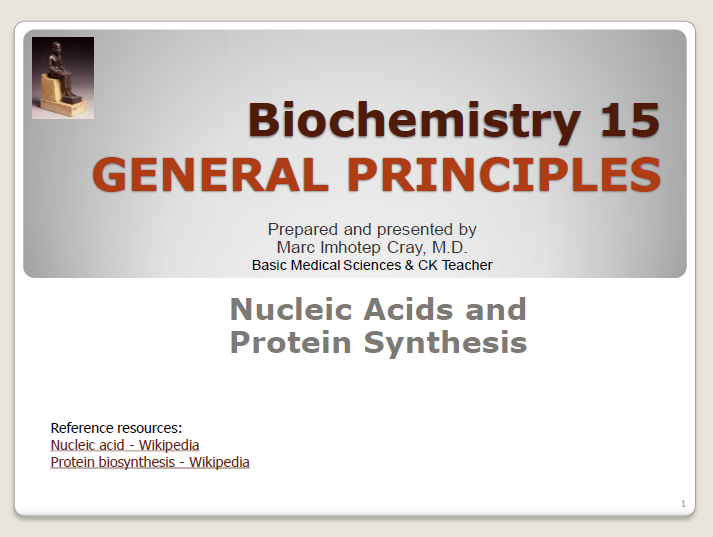 IVMS Intro to Biochemistry Lecture 15 -Nucleic Acids and Protein Synthesis by Marc Imhotep Cray, M.D. 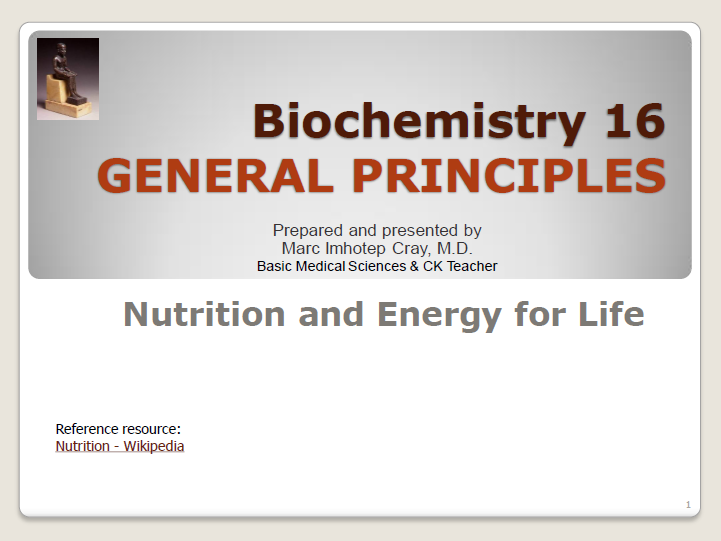 IVMS Intro to Biochemistry Lecture 16 -Nutrition and Energy for Life by Marc Imhotep Cray, M.D. 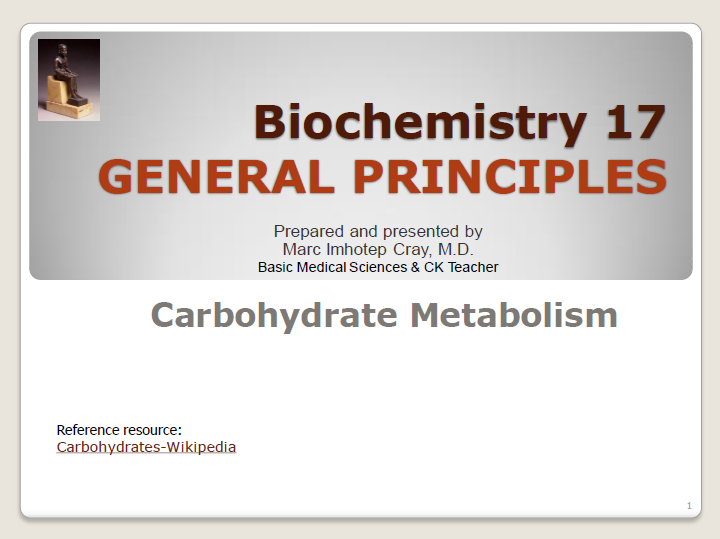 IVMS Intro to Biochemistry Lecture 17 -Carbohydrate Metabolism by Marc Imhotep Cray, M.D. 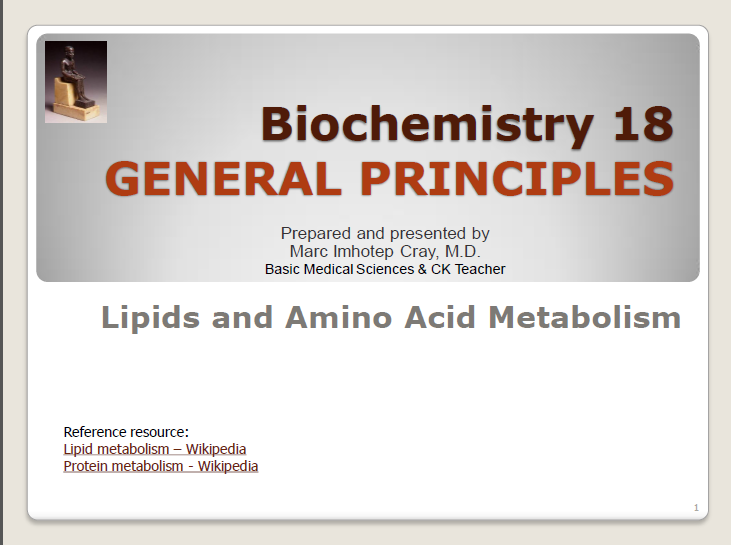 IVMS Intro to Biochemistry Lecture 18 -Lipids and Amino Acid Metabolism by Marc Imhotep Cray, M.D. 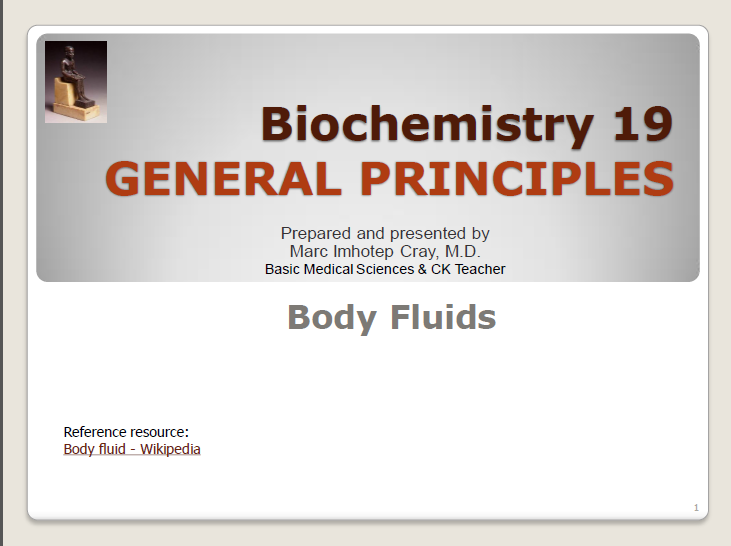 IVMS Intro to Biochemistry Lecture 19 -Body Fluids by Marc Imhotep Cray, M.D.